Bradley | East Side Stand Up! This entry was posted in Season 11 and tagged Altidore, Bradley, MLS, Playoffs, Vazquez on December 12, 2017 by marhue. 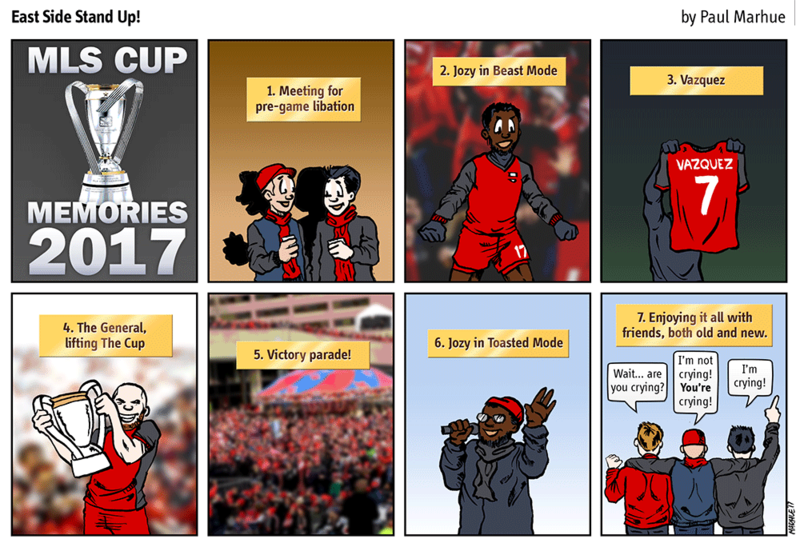 This entry was posted in Season 11 and tagged Bradley, MLS, Morrow, Playoffs, Vanney on December 6, 2017 by marhue. O When The Reds! – Bring on Montréal! This week, bring on Montréal! This entry was posted in Season 10 and tagged Bradley, MLS, OWTR, Playoffs on November 13, 2016 by marhue. This entry was posted in Season 10 and tagged Bradley, Johnson, MLS, OWTR, Playoffs, Ricketts on November 7, 2016 by marhue. This entry was posted in Season 10 and tagged Bradley, Giovinco, MLS, Morrow on December 2, 2015 by marhue. This week, Michael Bradley rejoins the squad ahead of big match. This entry was posted in Season 9 and tagged Bradley, MLS, OWTR on October 13, 2015 by marhue. This entry was posted in Season 9 and tagged Altidore, Bradley, Koevermans on May 18, 2015 by marhue.